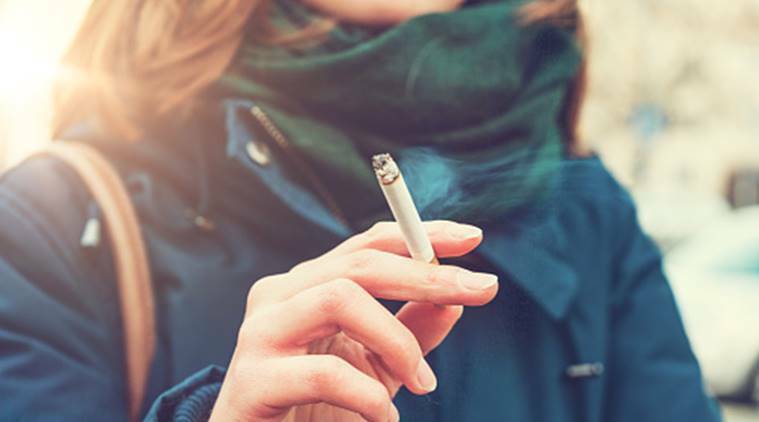 Quitting smoking during the transition phase to menopause could be the key to ward off risks of cardiovascular diseases including heart attacks and strokes, suggests a new study. The risk factor most associated with unhealthy arteries was smoking tobacco, said the study published in the journal American Heart Association. The study found that physical activity and a healthy diet may offset the acceleration of atherosclerosis — a build-up of fats, cholesterol and other substances in and on the artery walls. “Midlife is a crucial window for women to take their cardiovascular wellness to heart and set a course for healthy ageing,” said Ana Baylin, Associate Professor from the University of Michigan in the US. “The metabolic changes that often occur with menopause, especially increase in cholesterol levels and blood pressure, can significantly increase the risk of heart attacks, strokes and cognitive impairment later in life,” she added. For the study, the team enrolled 1,143 women aged 42 to 52 in the Study of Women’s Health Across the Nation (SWAN). The findings showed that those with a healthy lifestyle had significantly wider arteries, less arterial thickening and build-up of fatty plaque. “Women approaching menopause can significantly lower this risk if they adopt healthier behaviours, even if cardiovascular issues have never been on their radar,” said Dongqing Wang, a postdoctoral student from the varsity. The results suggest that maintaining a healthy lifestyle — combined with physical activity, proper eating habits and no tobacco use — is particularly important for women during the transition phase to menopause.